NEW 2019 Genesis Supreme 37GSXL with Artic Package! 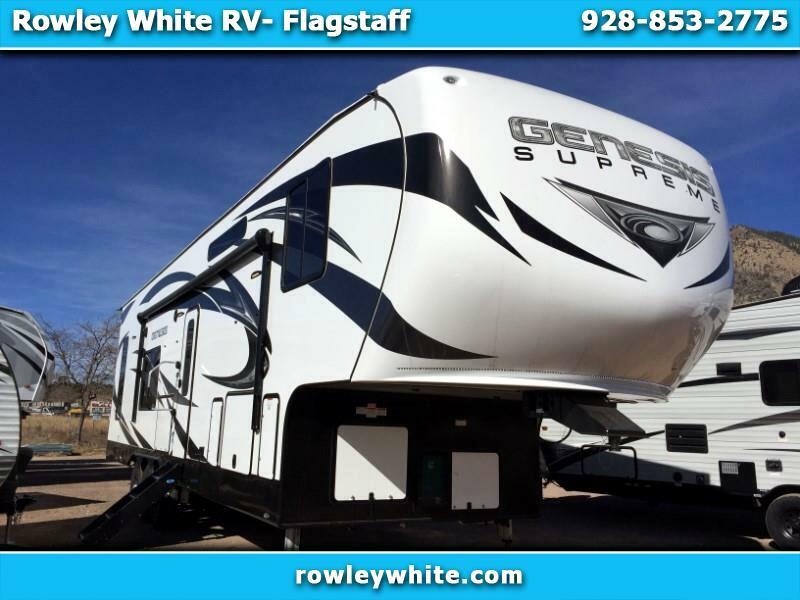 Check out this 2019 Genesis Supreme 37GSXL Fifth Wheel Toy Hauler with a bedroom and a huge living room slide out! Front Bedroom with walking room, slide out, fireplace, and a KING bed and fantastic fan with remote! We have lots of toy haulers, 5th wheels and travel trailers to choose from -- visit our website at rowleywhite.com to see our full inventory. If you're looking at an Attitude, Stellar or any other brand of toy hauler anywhere else, give us a call or stop by, we will make it worth your while!